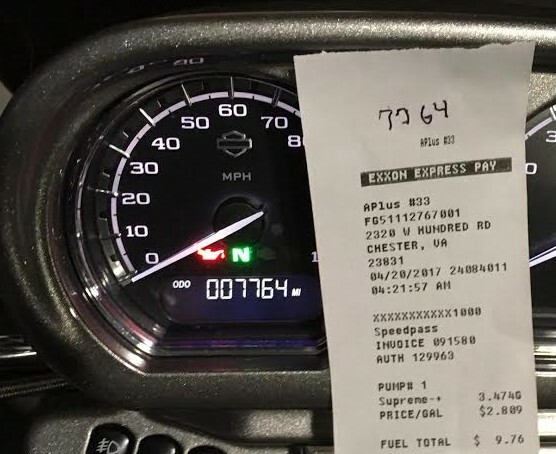 A little hard to read off Facebook clip, but still a good receipt from Kenneth Andrews ride. 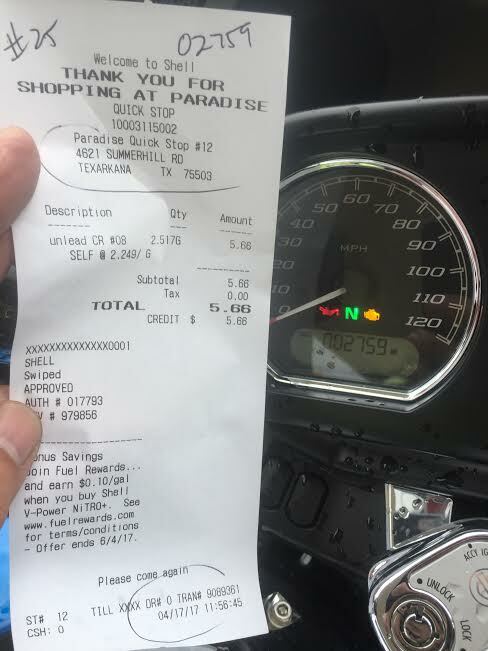 Note inclusing of odometer reading right on the receipt - a nice touch! Now the bad of using the handhold method (especially on a cold January morning): had he been submitting this as a start or end receipt, time is partially covered (we can't tell if am or pm) but in this case, it was just a standard photo he took for his Facebook friends. A little hard to read off Facebook clip reduced for this web page, but still a good receipt from Brad Holloway ride (he just did this for his Facebook friends, not for his submittal). Also nice touch putting odometer reading right on the receipt.